Anna is a graduate of the University of North Carolina at Chapel Hill. She hails from the furniture capital(and BBQ capital) of America, Lexington, North Carolina so design has always been a part of her life. She studied art history at Chapel Hill and architecture and interior design at the Lorenzo de Medici in Florence, Italy. 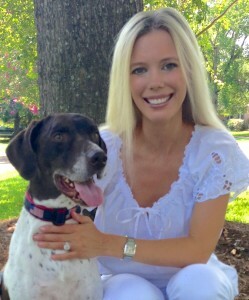 She moved to Charleston in 2005 and has since married and they have Their Daughter and German Short Haired Pointer.